Two interlocking and embracing sculptural elements are cantilevered from their bases, creating the illusion of suspension. 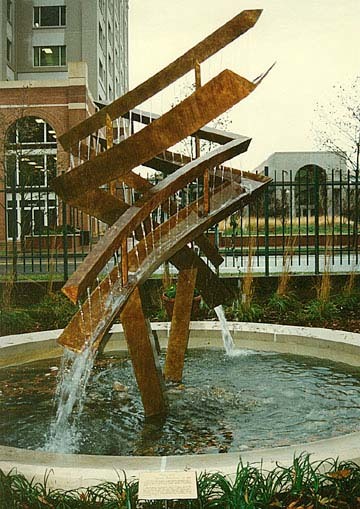 Inspired by the beauty of waterfalls cascading into a raging river, this sculpture shows how the delicate flow of numerous water sources can quickly become a formidable force. 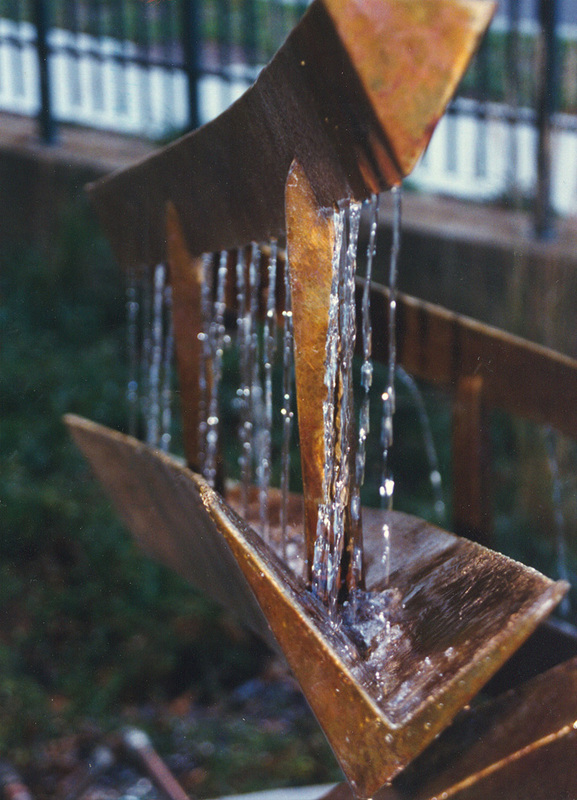 Each of the nearly one hundred rivulets are individually plumbed so as to deliver an even and equal volume of water. Created for the Blair East Apartments, Silver Spring, Maryland.